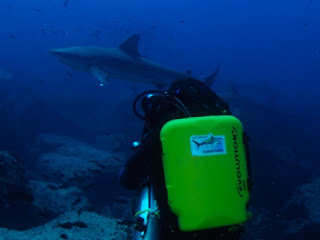 We had a test a rebreather diving trip to the northern Darwin & Wolf Islands last week. A quick trip report and some photos on file and will be posted during this week. If you want to know more about rebreather diving in the Galapagos Islands stay tuned, there is some great photo material coming soon.